The themes of the information panel lets you view and edit the properties of the theme selected following: doc: themeslist . The name of the subject should be informed synthetic. 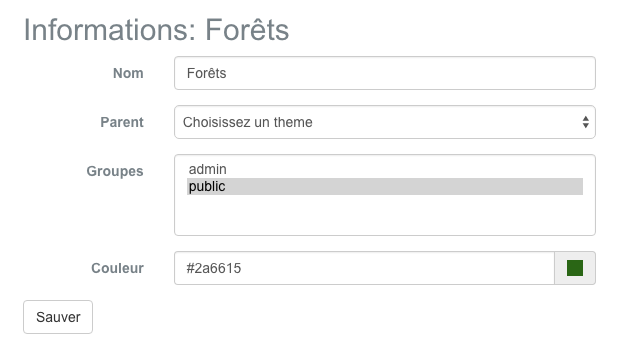 The value of the text fields is used in the public interface. The access to the subject may be restricted to certain user groups. Click on the / target groups in the multiple choice list for this purpose. Click by holding down the CTRL key to select multiple groups.